Please welcome author Erin Entrada Kelly to Kidliterati! 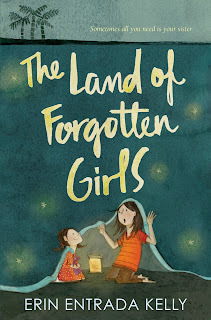 Erin is the author of such wonderful books as THE LAND OF FORGOTTEN GIRLS and BLACKBIRD FLY, and the upcoming HELLO, UNIVERSE. She's here today to talk about sad books and why kids (and adults!) need these books in their lives. I'm lucky to have gotten to know Erin through the Fearless Fifteeners, and I'm a huge fan of her books! Be sure to check out Erin's website and follow her on Twitter (yes, she writes sad books, but she's quite funny too!). 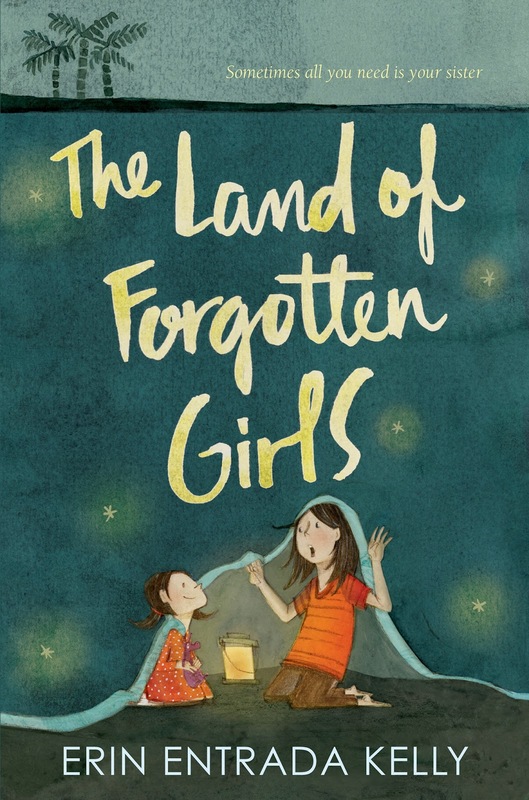 Heartache is nothing new for kidlit, but as the landscape of middle-grade fiction becomes increasingly diverse and sophisticated, we’ve seen a plethora of sad books rise to the surface. Ali Benjamin’s The Thing About Jellyfish, a 2015 National Book Award nominee, explored issues of death, bullying, and the complexities of middle-school friendship. Nest by Esther Ehrlich, published a year earlier, followed a young girl’s coming-of-age in the shadow of her mother’s fatal illness. The War that Saved My Life, a 2016 Newbery Honor book by Kimberly Brubaker Bradley, introduced us to 9-year-old Ada, a disfigured girl with an abusive mother. If you want to read modern middle grade literature, you better bring some tissues. As an avid reader and writer of sad books, I’m compelled to push them to the forefront, put them under a microscope, and ask: Why do we (“we” being readers young and old) read sad books? Better yet, why should we? Reader, I have an answer. Actually, I have three of them. Sad books teach us empathy. A book doesn’t have to be sad for us to empathize. Roller Girl by Victoria Jamieson won’t make you cry, but it’ll definitely make you feel the pangs of fickle middle-school friendship. But there’s something unique about sharing an experience with characters who are trudging through difficulties beyond our comprehension, whose problems are weightier than our own, who find strength even in the darkest of circumstances. When those shared experiences feel universal, we’re reminded of how much we’re alike -- even though we’re all so different. Sad books encourage us to reflect. We have to spend time mending our heart strings after they’re tugged. In doing this, we reflect on our own lives, beliefs, and values. Many of us go through life on autopilot. This is true of ten-year-olds as much as fifty-year-olds. Loss, tragedy, challenge -- these are often the mechanisms that remind us of what’s truly important and what we’ve taken for granted. Sad books remind us that we are not alone. Sorrow is a lonesome beast. What’s more comforting than knowing you aren’t alone? Erin Entrada Kelly (www.erinentradakelly.com) is the author of Blackbird Fly, a 2015 Kirkus and SLJ Best Book of the Year, APALA Honor Award Book, and Golden Kite winner, and The Land of Forgotten Girls, one of Booklist’s Top MG Contemporary Books of the Year. Her third book, Hello, Universe, will be released in March 2017. She lives in the Philadelphia area. This is so true and beautifully said! Loved this post. I also love sad MG! I am biggest fan of you - Erin Entrada Kelly.